Sculptures are an important medium of the African traditional communication system yet have been largely neglected. 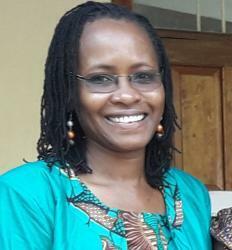 According to Dr Koblowe Obono, a Senior Lecturer in the Department of Communication and Language Arts at the University of Ibadan in Nigeria, many researchers have used positivistic approaches and verbal contents for reproductive health studies and have neglected qualitative perspectives and nonverbal systems of information dissemination, hence, the dearth of knowledge on sculpture-based communication. 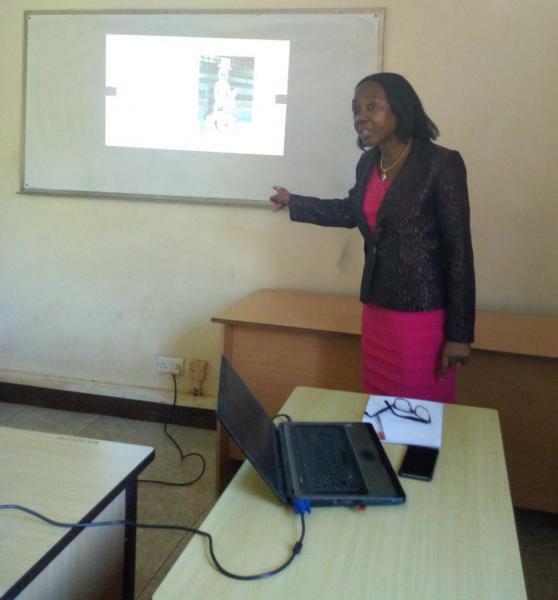 Presenting her research work titled; “An Analysis of Sculptures as a Medium of Reproductive Communication in Ugep, Nigeria” at the CHUSS lunch-time seminar held at Makerere University on Friday, 22nd March 2019, Dr Koblowe emphasized the importance of sculptures in reproductive health communication and improving gender relations. She explained that the messages embedded in sculptures are instrumental in sensitizing communities on various social norms hence improving the knowledge of reproductive health. Reacting to her presentation, some of the participants argued that sculptures may not be a very effective mode of communication as people may interpret them differently depending on their settings and perceptions. Dr Koblowe’s research explores the significance of symbols in health management, gender relations and sociocultural construction of reality. According to her, values, ideas and emotions based on indigenous knowledge are encoded in sculptures for reproductive relevance. Their ideologies constitute objects of verbal discourse and human behavioral choices. 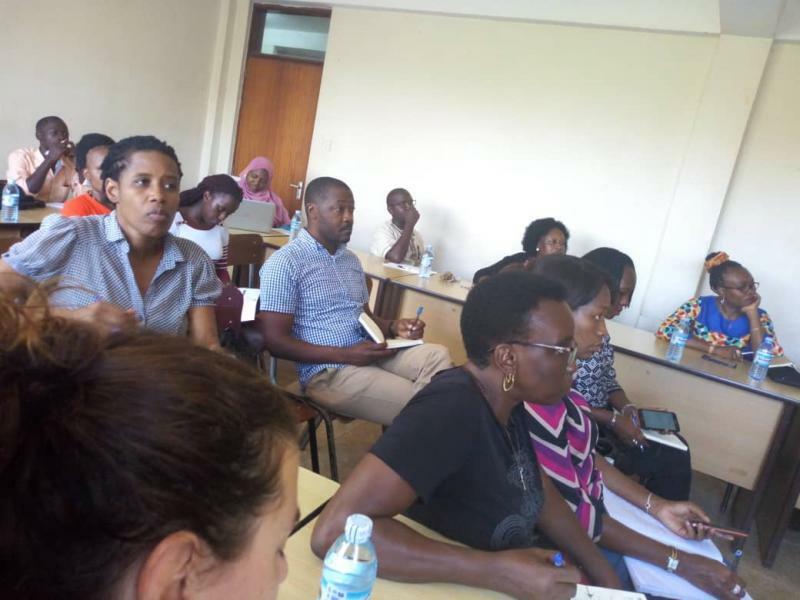 The CHUSS Lunchtime Seminar Series are coordinated and moderated by Dr Sarah Ssali, Dean School of Women and Gender Studies. They were introduced in 2016 to provide platform to academic staff to share knowledge and discuss their research.